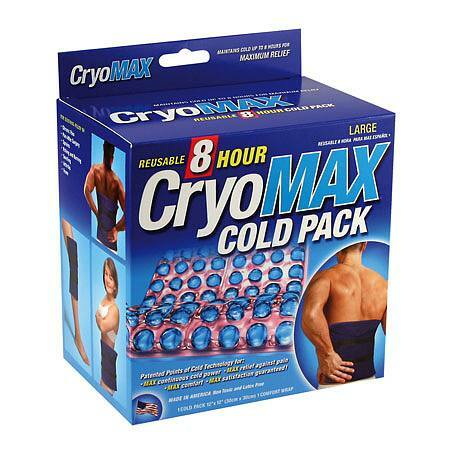 Cryo-Max Cold Pack with Sleeve1.0 ea. 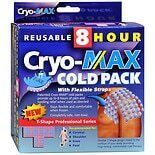 This cold pack provides highly effective and long lasting cold therapy to reduce pain and swelling due to muscle injuries, sprains and post-surgical discomfort. It utilizes a patented , advanced, multiple phase cooling system and provides the longest lasting cold pack therapy available today. This product replaces multiple standard cold packs that require being rotated through the freezer several times during the therapy process. The unique design provides comfortable and soothing relief right where you need it.